It’s a clean sweep for team Jamaica as Usain Bolt, Yohan Blake, and Warren Weir took the gold, silver and bronze medals respectively. Bolt, who dominated the 100m for the second time in a row was determined to claim the 200m as well. Though, the ever so playful and confident athlete didn’t break a record as he’d hoped, he has however placed himself in Olympics history by becoming the only runner to conquer both sprint races. His fellow countrymen Yohan and Warren also performed remarkably well. So a huge congratulations to the three, as well as to the little island of Jamaica, who I’m sure is celebrating for such a wonderful accomplishment. 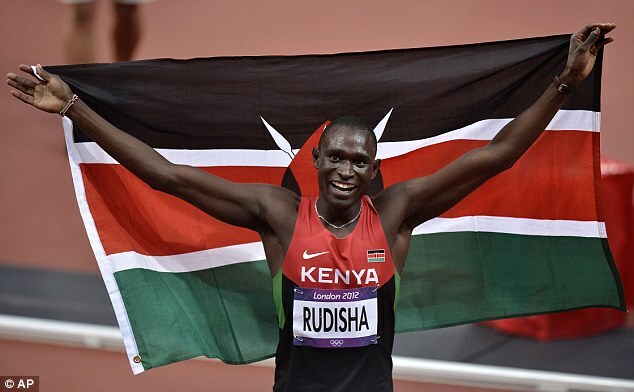 Another athlete who has made his country proud is no other than Kenya’s own David Rudisha. The 23 year old won Thursday’s final in 1 minute, 40.91 seconds, shaving one-tenth of a second off the mark he set in 2010, and setting the first world record in the 800 meters. Kitum, who finished more than 1 1/2 seconds behind his fellow Kenyan, said Rudisha had warned other runners to be prepared for something special. And there you have it. The man has delivered, and so as Bolt and his compatriots. Congratulations to all three, and of course to the other athletes participating in this incredible event bringing the globe together.